My first foray into wrapping was with the help of a Calin Bleu gauze wrap that I purchased from a local retailer, Belly Laughs. My youngest was two months old at the time, and I was feeling like my stretchy wrap was getting a bit saggy under his 14lbs of chunk. I had read about woven wraps on our local babywearing group, but needed some expert advice on where to start. When I visited Belly Laughs, the associate was very knowledgeable and helped me choose a gauze wrap, as baby was still small and it was in the heat of the summer. The fabric did not seem overwhelming to me, though I believe it was about 4.6m long. I practiced FWCC mostly with this wrap, and went for long hikes with it on several occasions. The colour was a bit dull (light blue-grey) and the fabric never did get very soft. It felt like a pair of jeans, comfortable, but not squishy or anything. 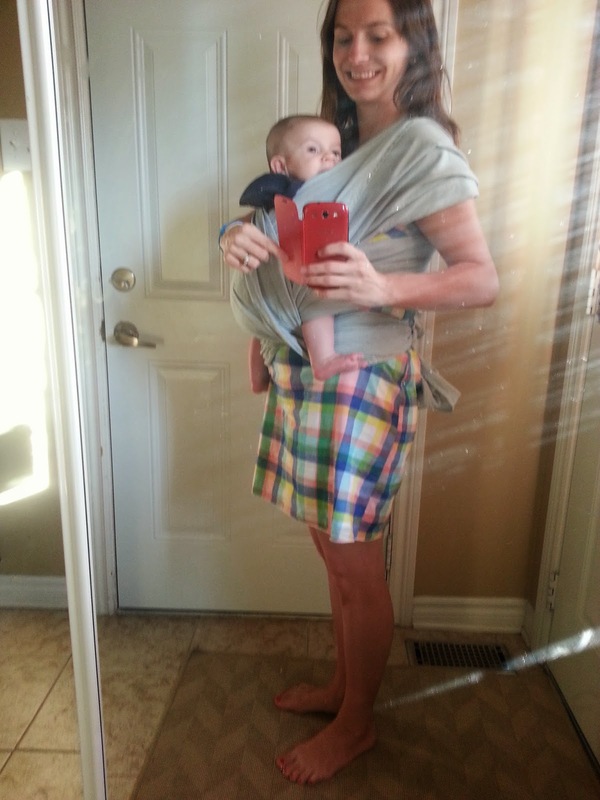 Once my son started to get larger (over 20lbs), I found that I was not as comfortable using this wrap for long periods of time. I ended up selling this wrap to fund more sturdy woven wraps. 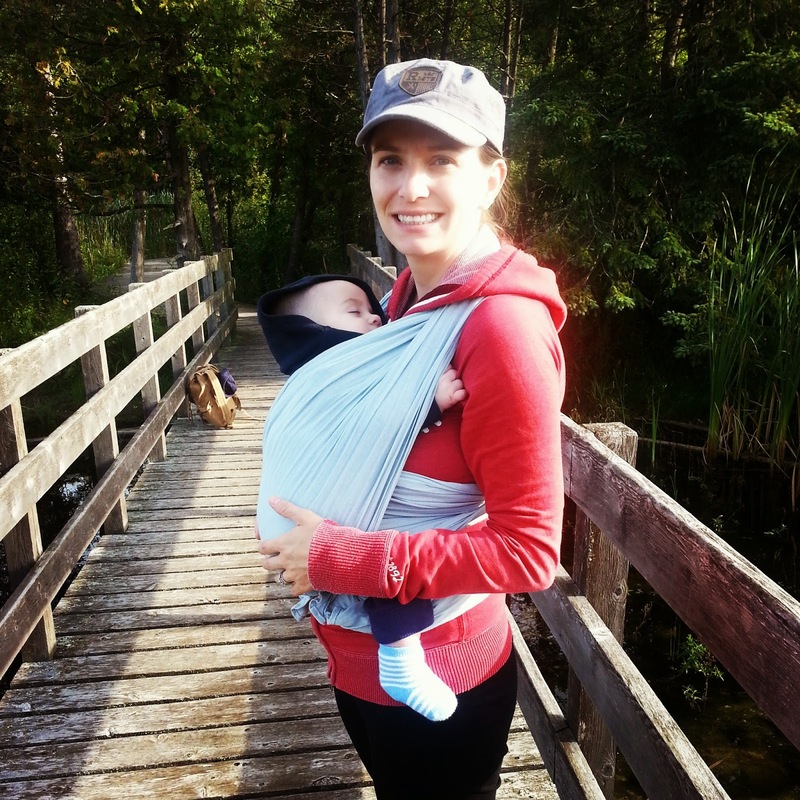 Recommendation: I would recommend this as a gateway wrap for moms with small babies or in hot climates. Our very first ever wrap job. We all start somewhere.